We last chatted with Dan Zanes back in 2012 when the Del Fuegos got back together for a new EP and brief reunion tour. After he got that out of his system, Dan went right back to making music for families. 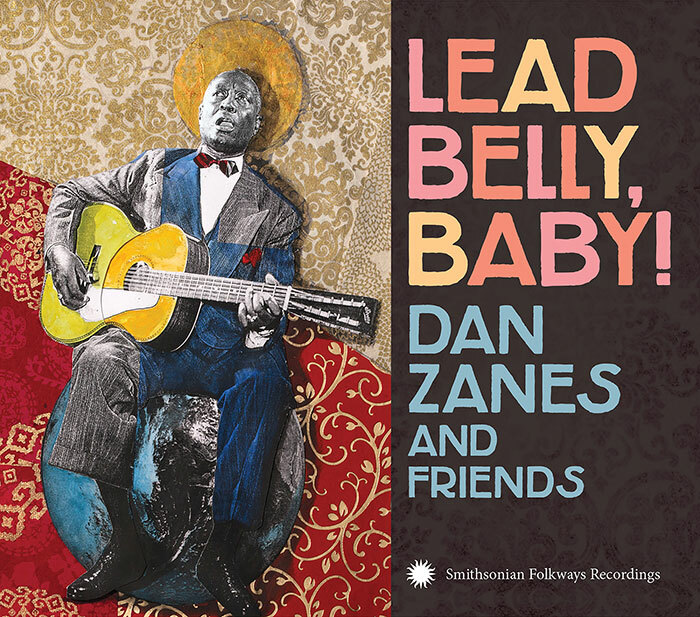 His latest is a tribute to Lead Belly, Lead Belly, Baby!, on Smithsonian Folkways. The Dan Zanes & Friends tribute is certainly heavy on the “and friends” aspect: Chuck D, Billy Bragg, Valerie June, Aloe Blacc, and countless others contributed to the record. Mr. Zanes was kind enough to take time out of his busy schedule to answer some of our questions on his latest labor of love. Why Lead Belly and why now? Lead Belly’s always been there. I didn’t make this record until now, but Lead Belly’s been the template for everything I’ve done since my first all-ages CD, Rocket Ship Beach. When I made that in 1999 I was trying to create the updated version of the Folkways records I grew up with, and that was, for the most part, Lead Belly. Pete Seeger, Ella Jenkins, Woody Guthrie, of course, but mostly Lead Belly. For me he was the most mysterious and the most inspiring. Did you have any thoughts to do this record solo, just you and a guitar? No. I like collaborating. And besides, a white dude from New Hampshire singing and playing Lead Belly’s music solo would have only one effect: increased sales of the original! The collective approach allowed us a chance to reimagine his music and think about what he would be digging if he were alive today. He would be interested in percussion, certainly, and, without a doubt, MCs. If I made this by myself it would highlight my limitations as a guitar player. How challenging was it to create these songs with so many different guest artists? The challenge is when I’m alone. I think too much. The joy comes from the collaborations. It’s effortless when my friends and I get together. The people on this record are such spirited musicians and singers that the music reveals itself. I don’t have to do much except press the “record” button (and make sure we have proper snacks). Out of all the songs in Lead Belly’s entire catalog, what was the most difficult song to recreate? I didn’t pick any that would be difficult! I chose the ones I love the most, and once the vision for the CD became clear everything fell into place. Like most of the Dan Zanes & Friends CDs I made it in my basement so I could walk upstairs and eat plantain chips if things weren’t revealing themselves in a freewheeling way. After two decades as a pioneer of kindie music, what excites you the most about the genre? The “sensory friendly” movement. It’s early days, but it’s happening. My fiancee, Claudia Eliaza, and I perform together, and we present all of our shows as sensory friendly. We were commissioned by the Kennedy Center early this year to develop a sensory-friendly folk opera for young audiences. Night Train 57 premiered earlier this month, and it’s having a ripple effect. The only reason all family-music performers aren’t asking venues that their shows be sensory friendly is because they don’t know enough about what it is! Once Claudia and I realized that sensory-friendly performances opened the doors wider and allowed for more people to comfortably enjoy our music, why wouldn’t we want to continue in that style? It’s all about inclusion and acknowledging that not everyone reacts to music and social experiences the same way. It’s about inviting as many people as possible to the party. Social change is the goal — music is the way we get there. Lead Belly, Baby! is available to purchase directly from the Smithsonian Folkways website. I would highly suggest buying a physical copy, as the liner notes are worth the price alone.